The Montecristo No.2 is a living Cuban legend, a medium to full Pyramid, 6.1” (156mm) long, of 52 ring gauge, and comes in a box of 25 cigars. The Montecristo No. 2 is legendary. 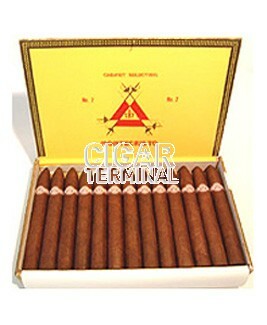 • A great example of how fantastic a great Habanos pyramid can be. It's simply the best!.